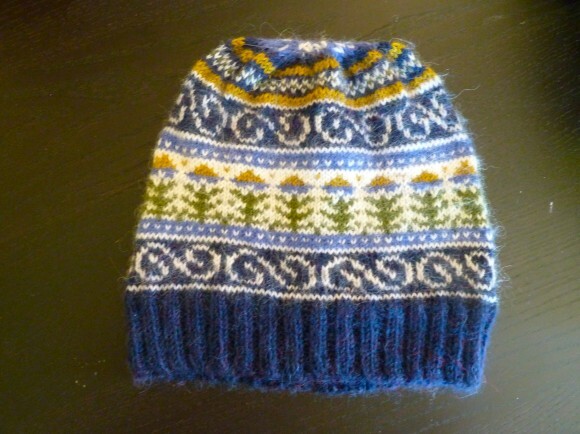 The first time I became aware of the Fair Isle pattern, I was probably about nine or ten years old. My mother’s friend spun and dyed her own wool, she had a giant loom, a spindle, and several Angora rabbits. She presented my mother with the softest, coziest, most beautiful winter hat I’d ever seen. It was grey and white, all spun from Angora rabbit fur (despite what some people think, Angora rabbits are not killed for their fur. They shed it and the shedding is spun into yarn). We still have it and every now and then I like to touch it and marvel at how soft it is, so soft you can barely feel it. Of course, not many of us have access to (or the finances for) such fine yarn, but the Fair Isle isn’t just for homespun yarn. 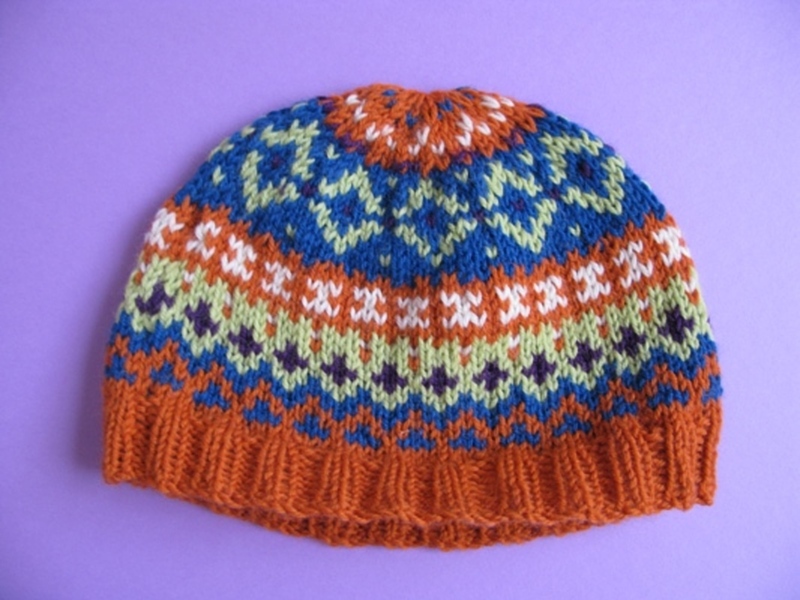 You can use any worsted or Aran weight yarn for this hat, and if you’re new to Fair Isle, this is a great place to start because it doesn’t cover the whole hat — just a small portion. You can use up some yarn remnants while you’re at it, whether you decide to go with two colors, three colors, or more. The free pattern from Destashification also comes with several pointers on how to make your first Fair Isle project without pulling your hair out. If you prefer video instructions over written, you can find plenty of help on YouTube, or even by visiting your local fiber shop. I guarantee someone there will know how to do Fair Isle, and if they don’t, they’ll know someone who will. A note about yarn weight: if you’re going to use worsted weight or Aran yarn, you’ll need to use US size #7 knitting needles. However, if you’d prefer to work the hat up in DK yarn, you can do so by going down two sizes and using a pair of US size #5 knitting needles. Using DK will require some more stitching and rows, but if you prefer it, it’s worth a little extra time. Another perk of using DK yarn is that you will not have to increase in Row 16. You will need to be aware of how tight your stitches are, as this will affect the hat’s ability to stretch when someone wants to wear it. The free pattern also comes with photos, and more importantly, graphs. One square of the graph represents one stitch, so my advice is to print out the graph (doesn’t have to be in color as long as you are sure of which colors you’re using where), and as you go, mark off the stitches you’ve made. This will prevent you from losing a stitch and having to go back and figure out where it went wrong. 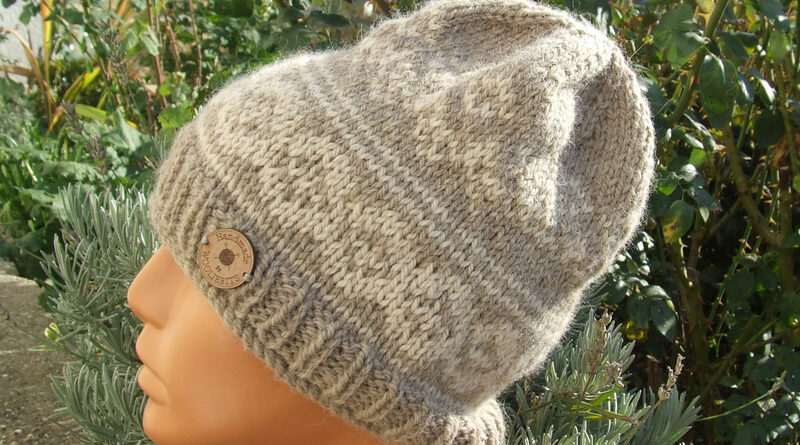 This hat would make a great Christmas gift or fall/winter birthday gift, with or without an accompanying scarf or pair of boot cuffs, gloves, or mittens. You can use the recipient’s favorite colors, add embellishments such as buttons, and customize it to you or your recipient’s liking. 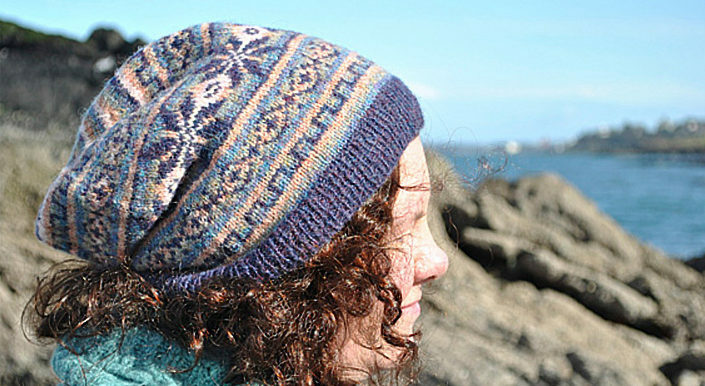 Interested in adding this Fair Isle Slouch Hat to your collection? You can find the free pattern over at Destashification.